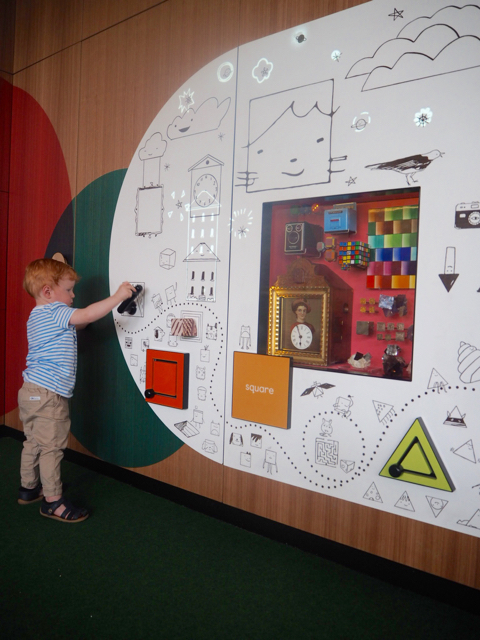 Thanks to the Victorian Government, the generosity of the Gandel Philanthropy, the team at Melbourne Museum and a number of educators and parents consulted - children 0 to 5 years, their siblings and older children have an amazing space to visit, discover, explore, read, relax, learn and imagine! 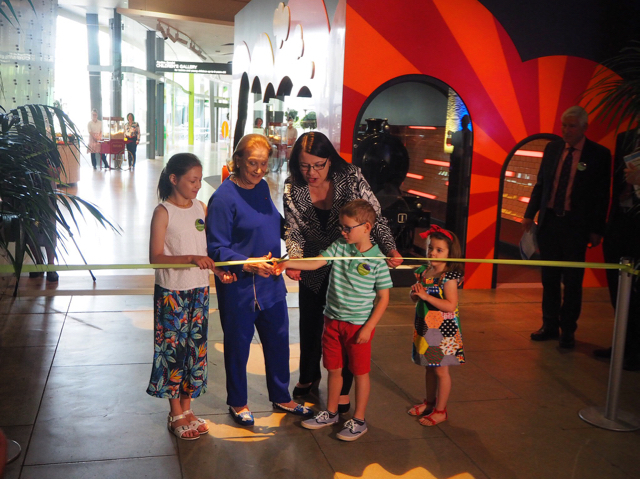 As soon as Pauline Gandel cut the ribbon with the help of little visitors - the unveiling of this amazing space began! 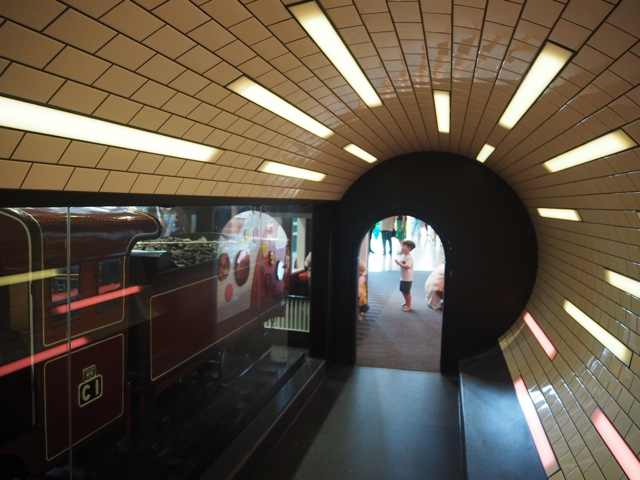 Children are now invited to enter the new gallery via a special child-size tunnel entrance which includes an iconic one-third life size model of the Victorian Railway’s first C-class, ‘Consolidation’ steam locomotive built in 1917. 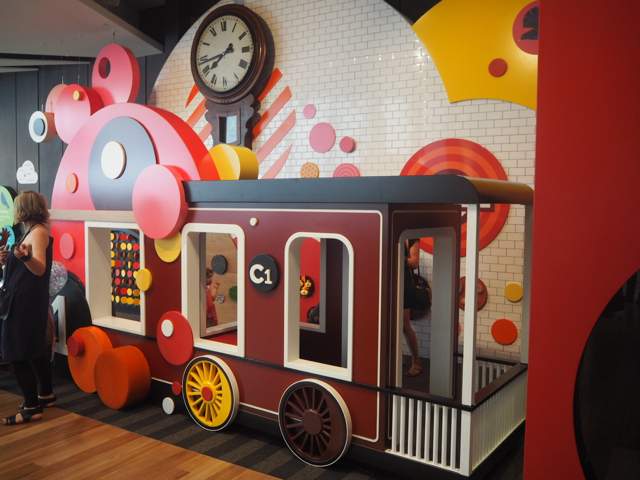 They are then greeted with a playful version of a C-class locomotive - the C1. The most impressive part of the new gallery is the net climbing structure when children can climb their way up to three metres in height. The structure has been created with separate spaces for children of all levels and abilities to make sure everyone can have fun climbing. It's nice to see that the iconic giraffes from the previous gallery have made their way back to the gallery - all shiny and new! 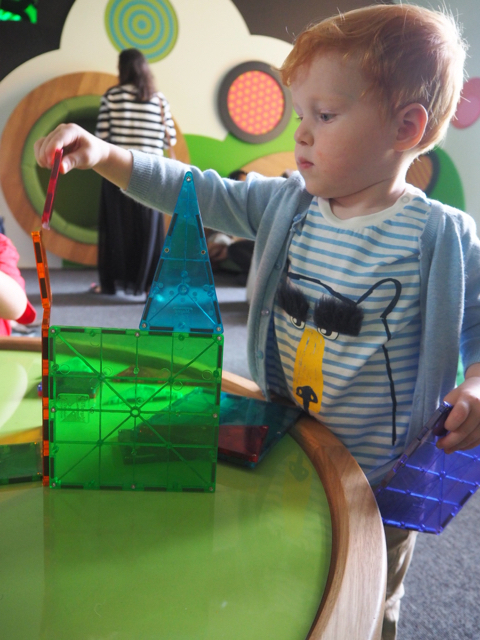 There are so many areas to explore and so many ways children can learn at the new gallery like this shapes & colours spot that Kate's little ones experienced. Everywhere you look there is something colourful and inviting..
and somewhere to hide and seek. Other spaces include this colourful area where little ones are invited to play, look at their reflection, touch different textured areas or interact with parents or carers. There is also a Camouflage Disco where kids can party like they’re under 5! Featuring a mirror wall, light projections and unique site-specific soundscapes created by three contemporary artists. A quiet reading area where little ones can read a new book or just relax is also part of the space. And let's not forget the outside space of the new gallery which features murals by street artist David Booth (aka Ghostpatrol) and a number of areas to explore. As well as Four frog sculptures in the garden symbolising the Creation story of Tiddalik. An indigenous story where a frog who drank all the water until he is made to laugh, spilt water across the land (or in this case via a beautiful water feature). 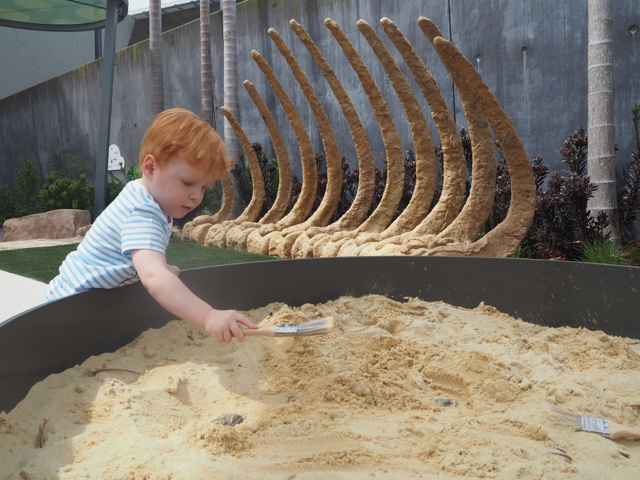 Children can also follow a set of dinosaur footprints to a sandpit outside where a cast skeleton of a Mamenchisaurus can be excavated by little palaeontologists. And once all the exploring is done for the day, little ones can relax! To celebrate the opening of this fantastic children's gallery, Minister for Families and Children Jenny Mikakos announced the beginning of ‘The Museum Generation,’ a new initiative from Museums Victoria where every Victorian child born, fostered, or adopted in 2017 will be given a free six-month household membership (two adults and up to four children) to Museums Victoria! The new Pauline Gandel's Children's Gallery is now open to the public and is open during normal visiting hours at no extra cost on top of museum entry. For more information, head to the Melbourne Museum website. Giveaway - We are giving away 1 family pass to 5 lucky subscribers to experience this amazing space with their family. All you have to do is make sure you are subscribed and write a quick comment below. Entries are now open and close this Friday 9th of December at 5PM AEST. Good luck! 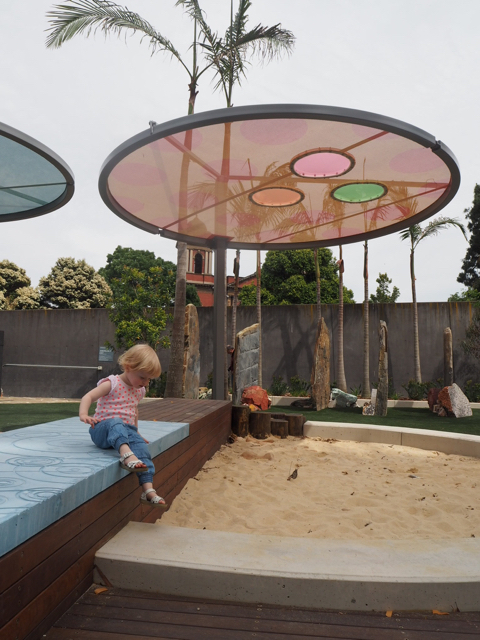 For more ideas of what to do with your little ones, head to our blog and our popular Melbourne Daily Spots List.